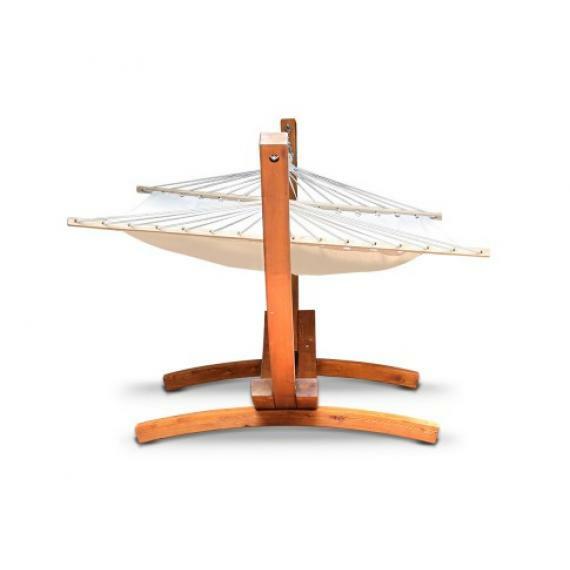 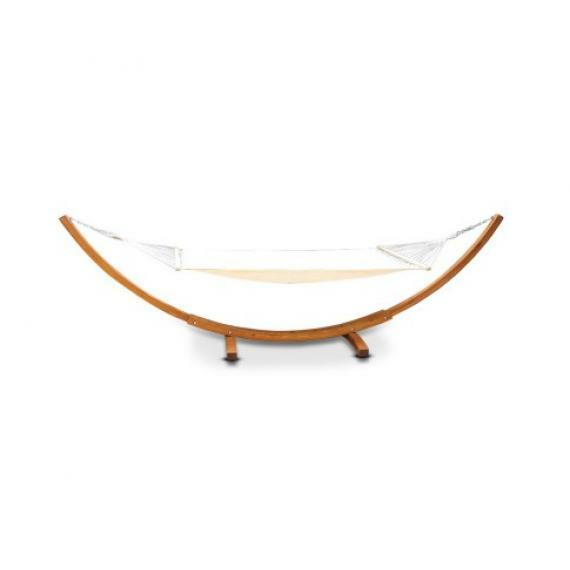 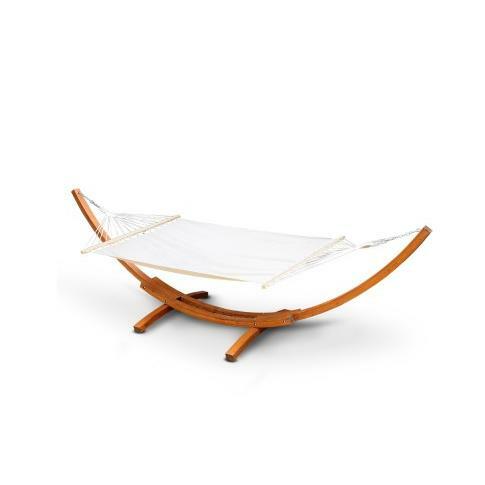 Indoors or outdoors, this 2-person Timber Hammock is a perfect personal relaxation spot for one or two persons. Made of durable, imported Larch wood and laid with a polyester cotton blend fabric, the two-person hammock is soft and comfortable and designed to hold up to 200kg. 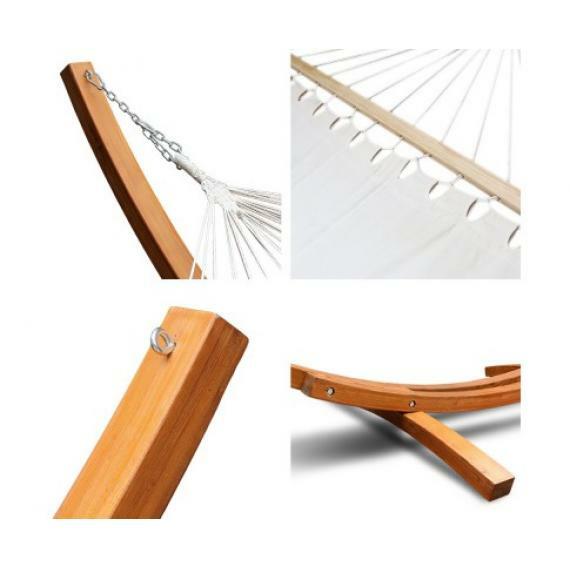 All hardware and fixings are made of corrosion-free, stainless steel while the ropes are sturdy and strong to withstand many years of robust use. 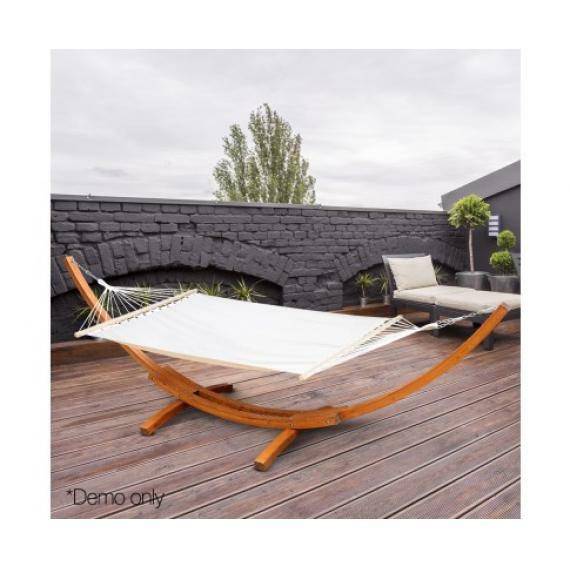 And for a bit of bohemian style, the Hammock is also lined with handmade tassels for a nice decorative touch. 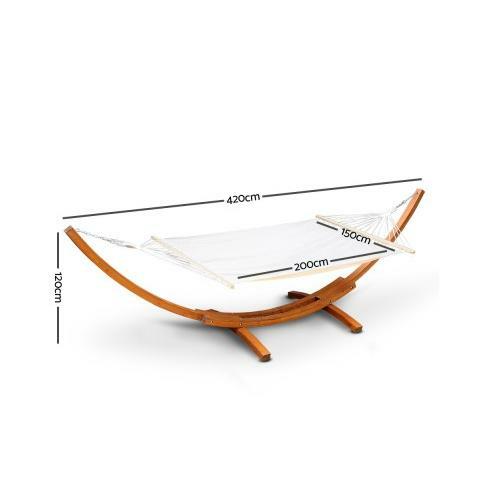 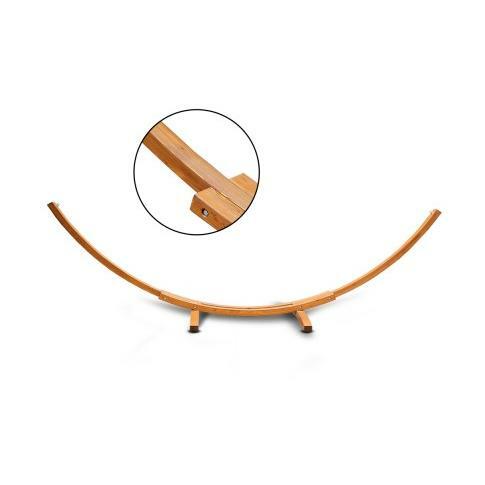 Not least, the fasteners can also raise or lower the hammock to your desired height.